Get ready for the most exciting way to explore Lima and its Downtown. 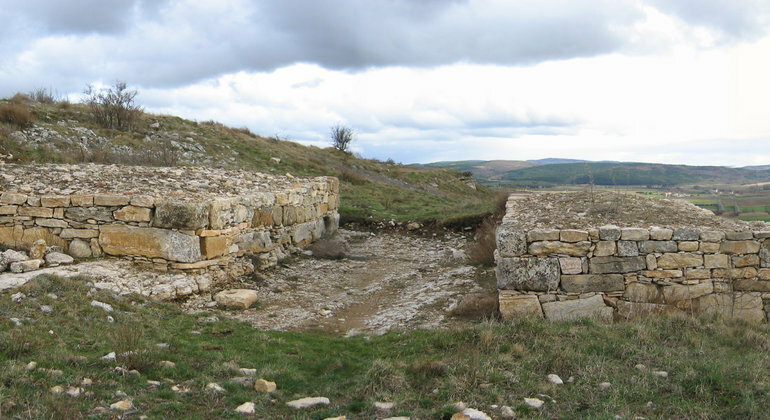 See the most emblematic sites and witness their history rise from the past before you. Explore Lima and enjoy its panoramic views of the downtown. 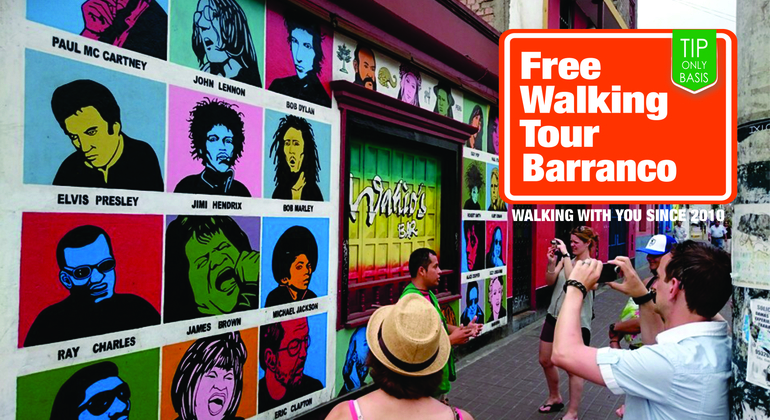 Enjoy a free walking tour and immerse into the lifestyle of the city, visiting the most important places of interest. 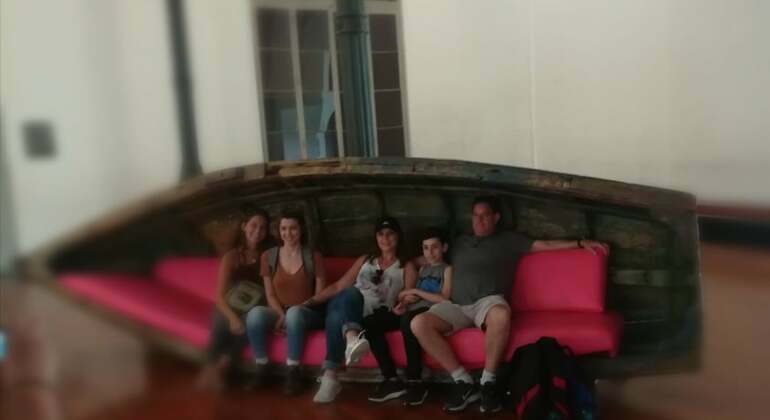 Join this new journey through time and space and explore bohemian and picturesque Barranco district of Lima with outstanding local guides. You'll never forget this tour. 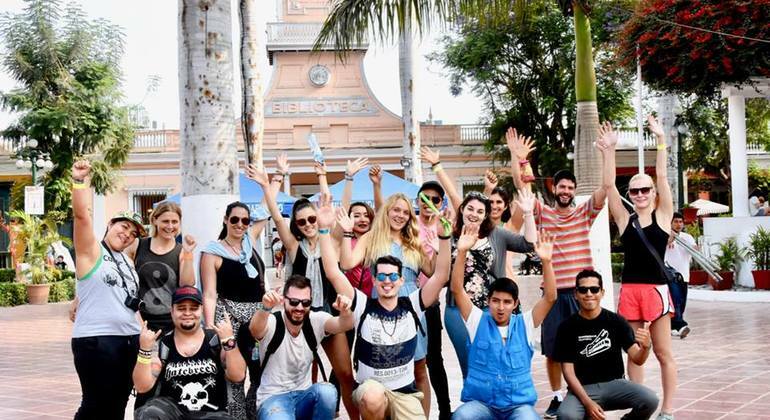 Join our amazing guides on a free walking tour around the most bohemian district in Lima. Uncover the history of Barranco and see its many curiosities. 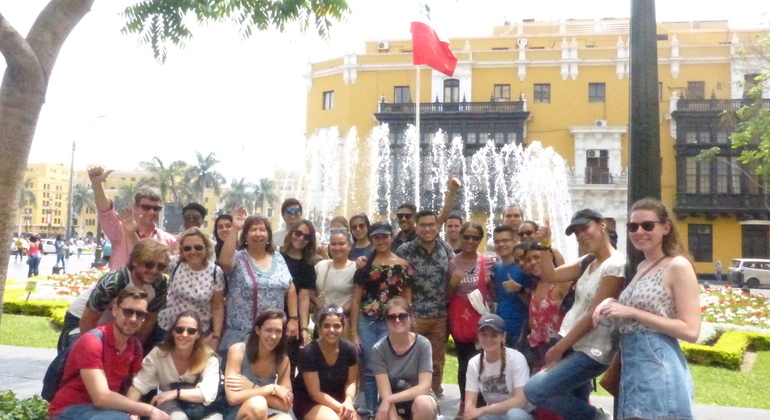 Free walking tour of Lima downtown with amazing guides. The most entertaining tour ever with lots of historical facts and amusing stories to make your day. 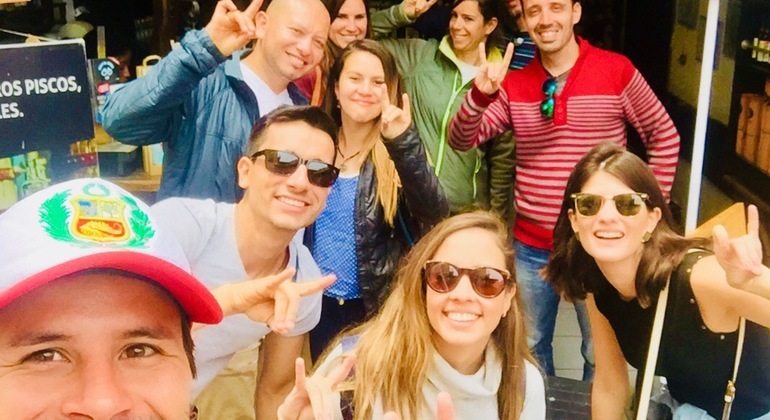 Join this exciting free walking tour in the charming Lima historic center and learn interesting facts, not only about the history of the city but also about the true colors of Lima’s society. 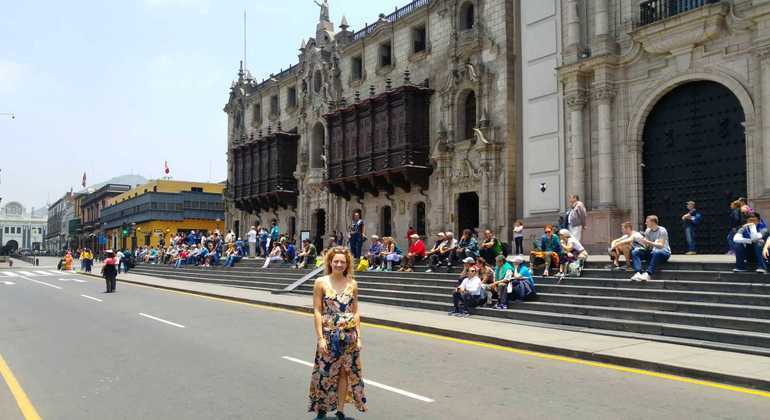 Spotlight Lima's intricate history and attractions as the churches and mansions of the Viceregal period with a help of a guide during our splendid free tour. Peru is a great country that has many things to show the world, besides Cuzco and Machu Picchu. 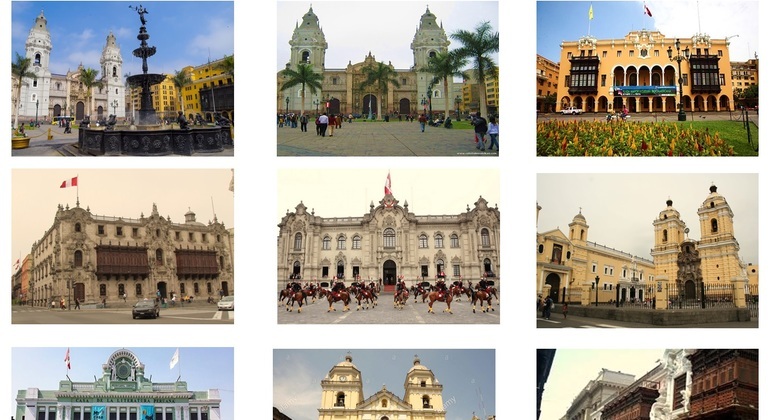 Our goal is that people get to know more about our country, starting with the Lima City Center. Visit the best insight restaurants in the gastronomic capital of the world and enjoy good old homemade Peruvian food on this unforgettable journey to the flavors of Lima. Feel the dynamic atmosphere of the Peruvian metropolis, home to a rich history, extensive collections of contemporary art, and traditions of the ancient civilization. 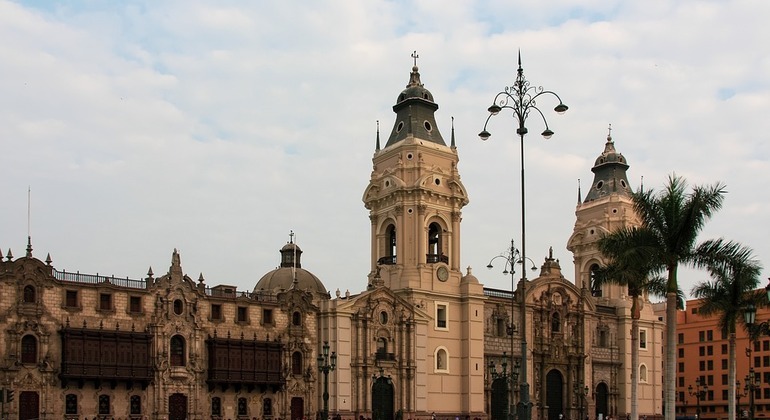 We'll walk around the city center of Lima and Palacio de Gobierno listening to amusing historical facts. You could try local food, drinks and visit museums. 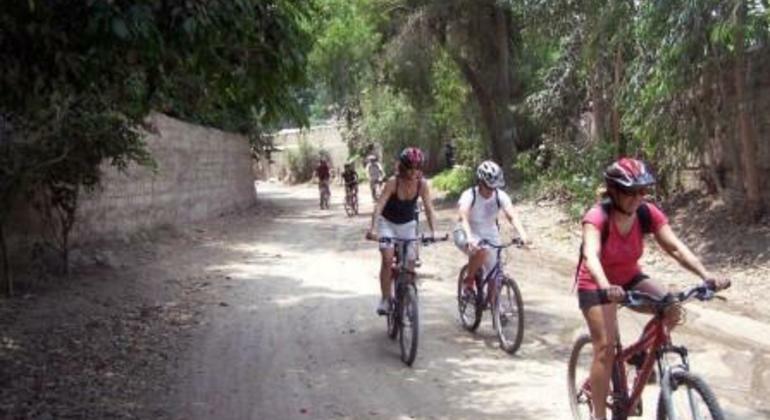 An amazing bike tour through Barranco in small groups. 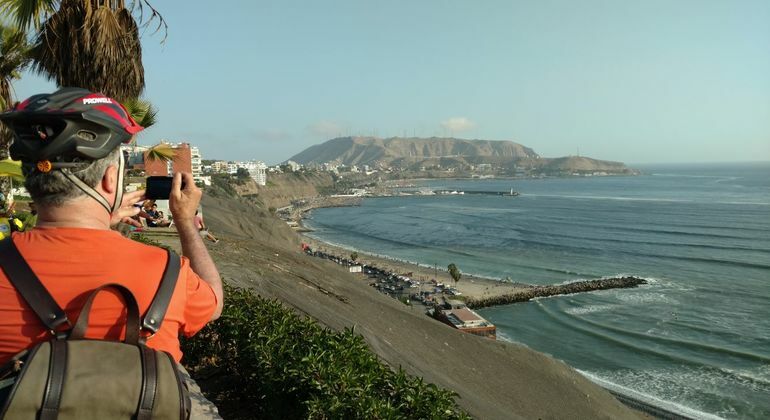 Rejoice in views over the Pacific Ocean and learn about local nightlife and street art of Lima. Discover wild and at the same time stunning landscapes of Cieneguilla Valley during this bike tour through the long winding road full of beautiful views. 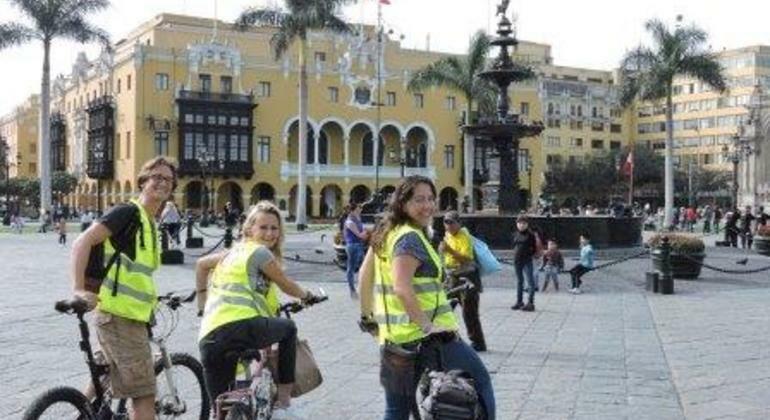 Get acquainted with the beauty and fascinating history of the wonderful city of Lima visiting its famous monuments and enjoying funny bike tour at the same time. Learn how to make delicious Ceviche and Pisco sour right in Lima. Surprise your closest ones back at home with your skill in cooking while recalling your excellent tour. 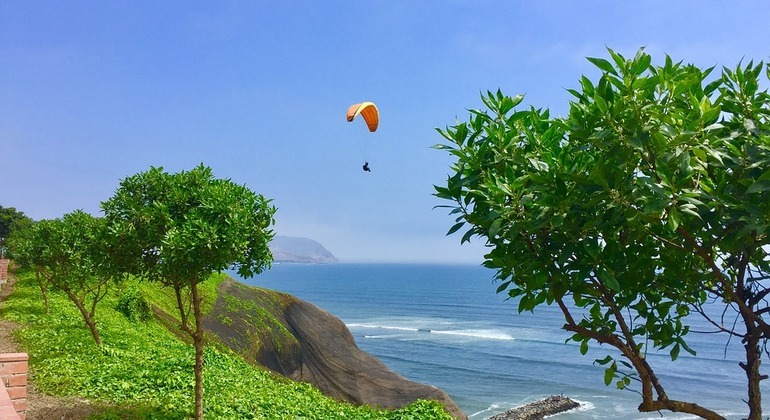 Celebrate awe-inspiring panoramic views from El Malecon de Miraflores on this bike tour to the famed attraction of Lima. Live through the local history with us. 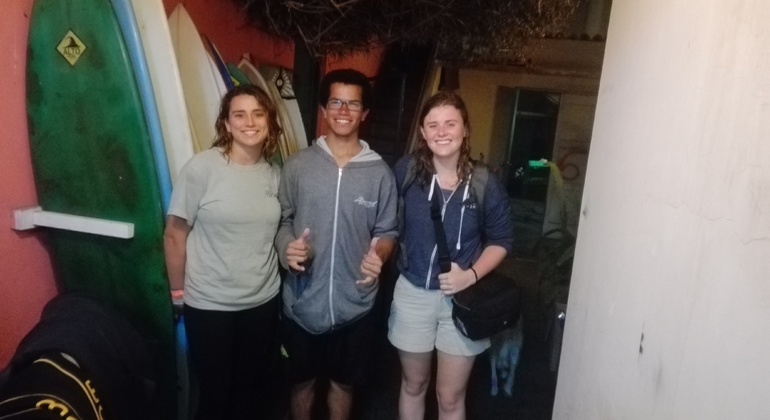 You'll have an amazing surf lesson with an experienced instructor. It's a unique way to meet with local sport culture and spend your time on a fresh air. 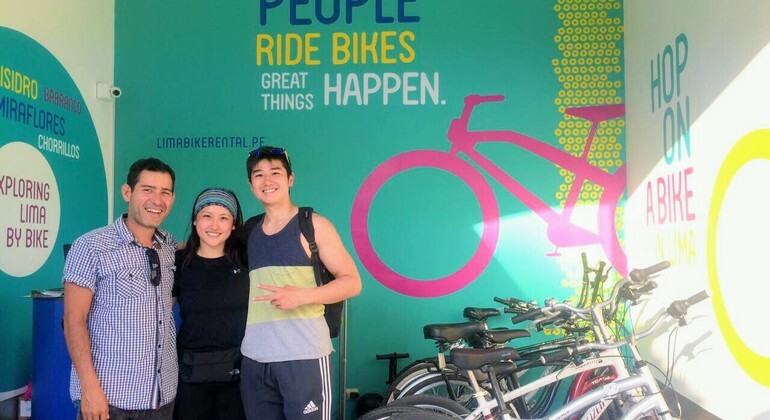 Enjoy this easygoing bike tour discovering the magnetic beauty and architectural uniqueness of Pachacamac and contemplate the diversity of Lima´s nature. 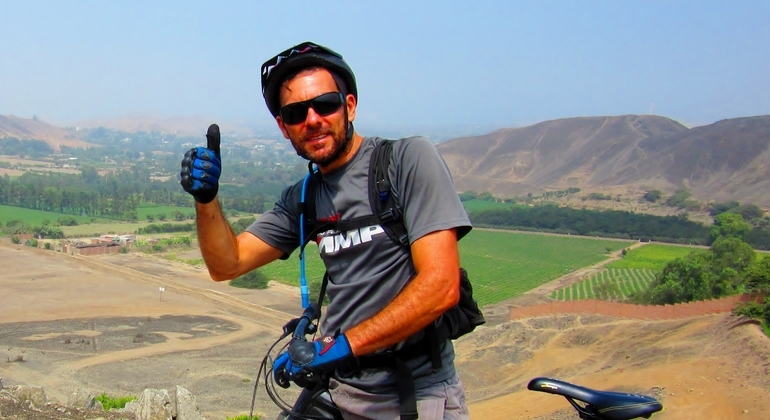 This stunning half-day bike tour from Lima will take you to Pachacamac mountain. Ride mountain bike observing picturesque landscapes and worshiping nature. See how locals party in Lima and share this experience with your fellow-travelers on a magical pub crawl. I'll guide you to top bars and clubs of the city. The capital of Peru, Lima, is a wonderful, excitingly chaotic mix of remarkable history and heritage, rich culture, bohemian spirit, ancient heart and a modern, sophisticated Latina soul. 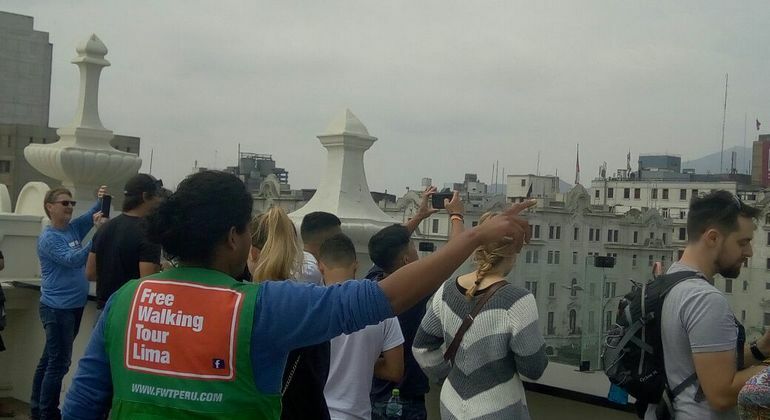 Free walking tours of Lima, as recommended by freetour.com, are an absolute must do when in the Peruvian capital. 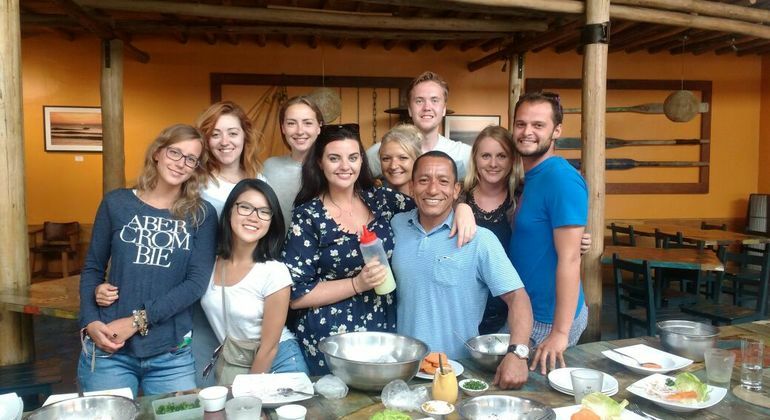 Join the local native guides to stroll among the well preserved Colonial facades of the centre, visit the first pre-Incan ruins, Huaca Pucllana, and learn all about Inca mythology, explore the catacombs, see the 16th Century built Iglesia de Santo Domingo, La Catedral de Lima and much, much more. Stroll in Parque Del Amor and enjoy breath-taking views of La Costa Verde, the picturesque green coast as well as the sublime cliffs along the Pacific Ocean. Enjoy free tastings of Peruvian chocolate & aguaymanto jam & Pisco brandy and get genuine, honest hints and recommendations from real authentic locals to embrace everything Lima has to offer. And there's plenty more to see an do in Lima after your free walking tour. Visit the Museo de la Nación to trace the fascinating history of ancient civilizations here, marvel at the beautiful pre-Columbian art displayed in Museo Larco, feast upon the delights of Lima's remarkable gastronomic legacy and delve into the diverse and exciting vibrant nightlife. Do yourself a favour and fall in love with this exceptional place.